Strip piece the arcs of this old time favorite quilt and save time! The arcs are also on the straight grain of the fabric with this technique so you have some stability when piecing on to the melons and centers. Acrylic rotary template pieces for the center, four patch, arc and melon along with the adjustment strips for John's strip pieced technique. Complete instructions included. 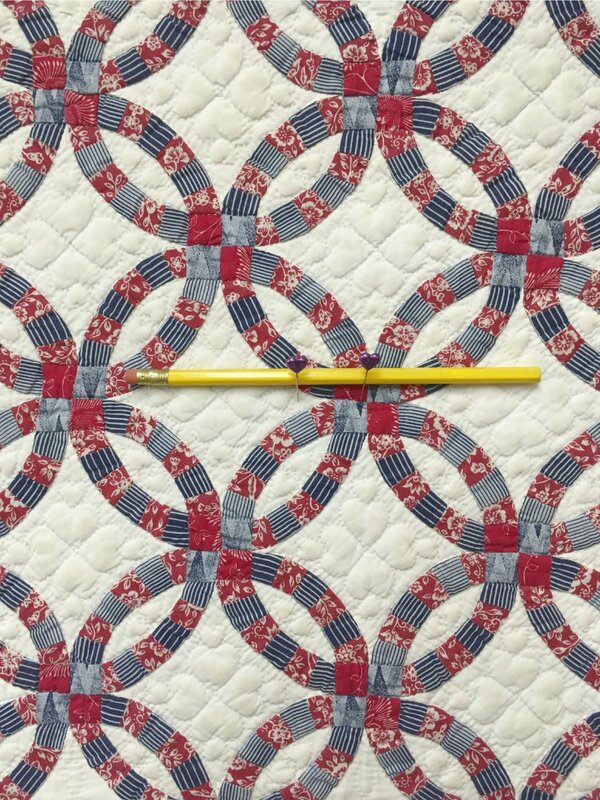 Consider the 18" - 24" size for bigger bed size quilts. These templates do have yardage requirements. Sizes 9", 12", 15", 18", 20" and 24" now include an extra template and instructions for using scraps in the arcs.